Date – specify the date or period of time. 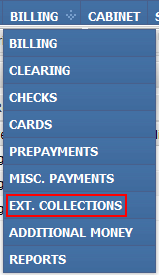 Amount – specify the amount of collections. Ordering facilities – choose one or more Ordering facilities. 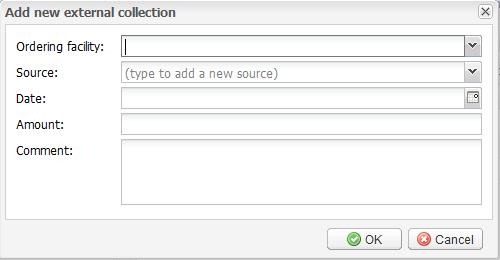 After you click “Search”, section 2 will be filled with specified collections. Here you can choose Ordering facility, Enter and later Choose existent Sources of collection, Date and Amount of payment, and write down the comment if needed. Export – saves the entry data to .xls file. Section 4 contains tools for navigating the list of entries.